After making history in 2012 with the women’s first ever national championship for basketball, head coach Misty Opat and her Golden Eagles made history once more by winning a second straight championship after a 32-2 season. 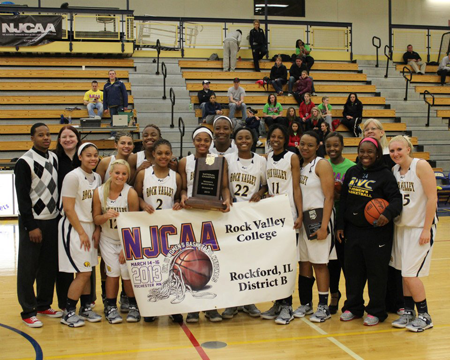 In the NJCAA championship game on March 16, 2013, RVC made it back-to-back national championships by taking down #2 Mohawk Valley CC (NY), in convincing fashion, 78-60. Revonnia Howard led the way with a monster performance of 22 points and 21 rebounds. Taricka Linzy chipped in 15 points in the title game and would walk away with tournament MVP honors. 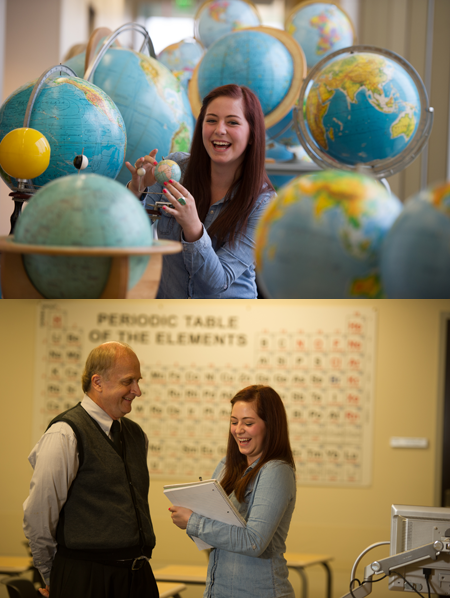 Rock Valley College student Abby Becker was one of only eight community college students selected from around the country to participate in Research Experiences for Undergraduates (REU), a ten-week NSF (National Science Foundation) -funded research training opportunity created specifically for community college students in physics and astronomy. The training was offered during the summer of 2013 at Texas A&M University. 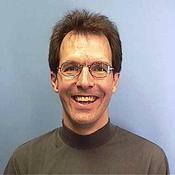 Becker received an award valued at $6000 and was able to work directly under a faculty mentor on research in astronomy. She was also able to visit McDonald Observatory and had remote access to Kitt Peak National Observatory and the SARA Observatory in Chile. Becker was part of RVC’s Running Start program. In May of 2012, Rock Valley College was acknowledged as a premier and exclusive Apple iOS training campus for Illinois, Indiana, and Missouri. 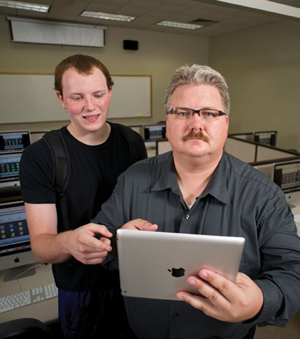 Since the start of the spring 2013 semester, RVC students have been able to learn how to develop, distribute and market software applications for the Apple iPad, iPhone, and iTouch devices. Students who successfully complete the iOS development course at Rock Valley College are able to sell their own apps on the Apple app store, while preparing for a job market that is demanding more properly trained iOS developers. Professor Julie Schildgen from RVC’s Graphic Arts Technology program was the recipient of the Academic Educator 2013 Printing Industries of America Education Award of Excellence. The Education Awards of Excellence honor distinguished educational service as a direct result of leadership, special education, and/or training accomplishments. 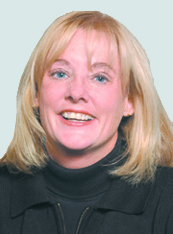 She was responsible for expanding the Rock Valley College program to include Graphic Design and Cross Media Production. After several years of self-study, in 2012 the RVC program was the first Associate Program to be accredited by the Accrediting Council for Collegiate Graphic Communications. For more information on the Cisco Networking Academy program go to netacad.com. 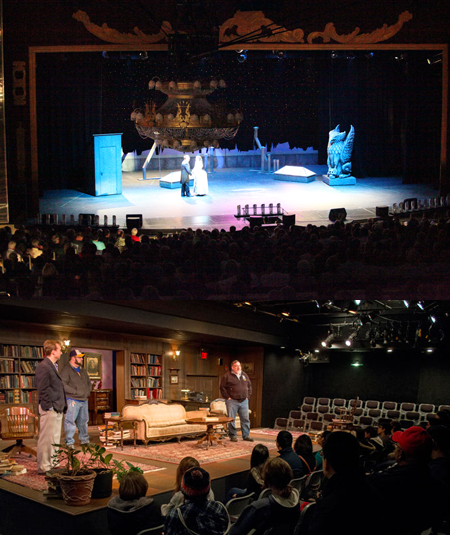 The Illinois Theatre Association (ITA) announced its annual Award of Excellence recipients in the fall of 2013 and Rock Valley College was honored for Excellence in College/University Theatre for its Starlight and Studio Theatres. Each year the Illinois Theatre Association recognizes both individuals and organizations for their significant contributions of promoting quality theatre throughout the state of Illinois. Recipients are nominated by the Illinois theatre community, approved by ITA’s divisional representatives, and accepted by ITA’s Board of Directors. 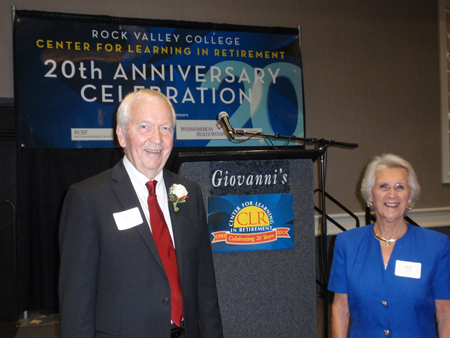 The RVC Center for Learning in Retirement celebrated its 20th anniversary with a luncheon on Wednesday, October 2, 2013. The CLR was created to help occupy and stimulate retired seniors and in 1993 offered five classes (creative writing, personal finance, area history, theater arts, and a trip to Anderson Gardens) to its 100 charter members. Today, the CLR has evolved into a resource dedicated to lifelong learning for men and women age 50 and up with roughly 350 classes annually and a membership over 2,100! 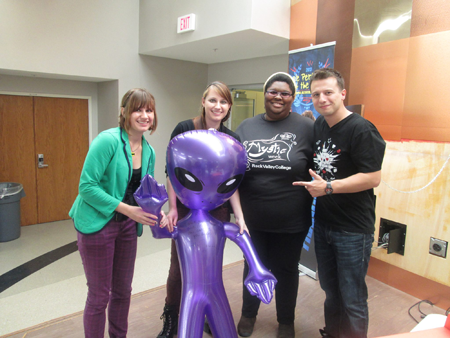 To entertain students during “Mystic Week,” on October 29, 2013, RVC’s Campus Activities Board (CAB) brought in a young magician who was working the college circuit at the time. Little did anyone know that less than a year later Mat Franco would become the winner of NBC’s America’s Got Talent. Franco was the first magician to ever win AGT. He now headlines his own show at the LINQ Hotel and Casino in Las Vegas and his two hour magic special, Mat Franco’s Got Magic, aired on NBC on September 17, 2015. So the next time you hear CAB is bringing in a comedian, musician or magician, you might want to check it out because you could be seeing America’s next big star!